Richard Movsessian came to Bonnybrook about a decade ago as a tennis player with sore knees. 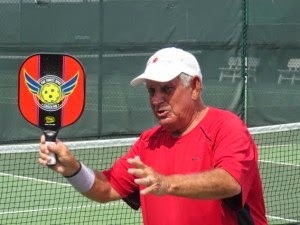 Today he is known as Coach Mo, the King of Villages pickleball. And now he’s going national. Coach Mo, 73, holds clinics here twice a week: Mondays, 3 p.m. at Pimlico Recreation Center and Thursdays, 3 p.m. at Big Cypress Recreation Center. He has been teaching here for years and has also sold thousands of copies of his instructional DVD.